AMC’s Fear the Walking Dead features a lot of characters engaging in a lot of violence to survive in the zombie apocalypse. Now, it seems that one of the stars had taken some of that violence with him off of the set. Nobody was stabbed in the head, but Fear star Frank Dillane is definitely in trouble after an altercation on the CBS lot that led to an arrest for battery. Frank Dillane was trying to sneak onto the CBS lot and allegedly got violent with a guard at a security checkpoint, according to TMZ. His behavior has been described as “erratic,” and he didn’t take well to being asked to leave the lot--which his show does not shoot on. He reportedly hit a guard when security forces tried to remove him from the premises, leading to a citizen’s arrest by the guards and an LAPD booking for battery for Dillane. Given that the first half of Season 2 of Fear the Walking Dead ended with a blood-covered Nick walking through a horde of zombies, we can at least be glad that he didn’t seem to be terrifyingly coated with any bodily fluids. On the show, Nick’s behavior has always been erratic thanks first to his drug problem and then to his mother’s attempts to stifle him. Frank Dillane may have almost seemed in-character when he arrived at the CBS lot. At least he wasn’t channeling his Harry Potter role as the young Voldemort. Of course, the CBS security force wouldn’t necessarily have any reason to recognize Frank Dillane from his role as Nick. Fear the Walking Dead is definitely not a CBS-produced show. Neither he nor his representatives have made any statements about the incident, so we may have to wait a while before his side of the story is released. Frank Dillane’s performance on his AMC show has been one of the best parts of the first season and a half. Fear the Walking Dead has struggled to find its footing in the shadow of its behemoth parent series The Walking Dead, but Dillane has managed to make Nick a standout character in the entire Walking Dead universe. It’s a testament to his skills as an actor that he could turn a character who has done some pretty awful things to try to feed his addiction into a character to root for as the zombie apocalypse progresses. Hopefully, the arrest for battery won’t do anything to change his status on Fear the Walking Dead. Actors have been killed off of The Walking Dead for other outside reasons. Fortunately, nobody seems to have been badly hurt after Frank Dillane’s attempt to make it onto the CBS lot. 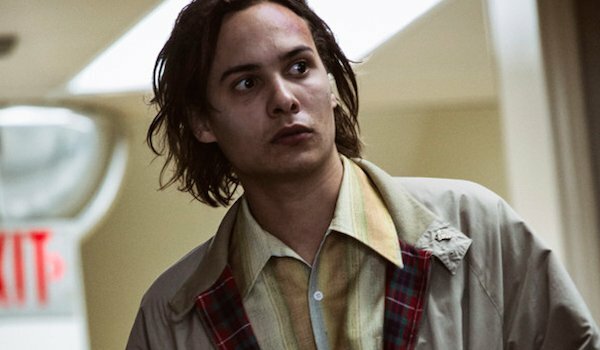 Season 2 of Fear the Walking Dead just aired its midseason finale, so we won’t be seeing any more of Frank Dillane as Nick for another couple of months. To find out what shows you can watch in the meantime, check out our summer TV premiere schedule.